Various maintenance should be carried out on your boat on a regular basis, whether you own a dinghy, RIB or yacht. Some of this maintenance is to keep the boat looking good, but some is essential for the proper working of your vessel. Don't forget about regular maintenance checks as you could be building up for major problems. Remember the best option is to seek guidance from the boat manufacturer or borker from where you purchased the boat and unless you are confident with the maintenance proceudes, get a professional to do the job for you. Check out the Maintenance Links page for some Boatwork companies. Antifouling is an annual maintenance job that protects your boat against being attacked by barnacles etc. This must be carried out whilst the boat is out of the water. On of the most highly recommended antifouling compound is International Trilux Antifouling available from a wide range of chandleries or boat supplies companies. 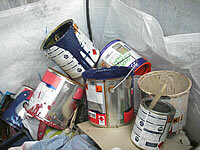 Another highly recommended manufacturer of marine antifouling coatings is FLAG PAINTS LTD. They produce the FLAGship range of antifoulings and have just launched a new copper-rich low friction PTFE based antifouling. More details of which can be found on the Flag Paints page of our website. All the woodwork on the boat should be varnished every year to keep it looking smart, though check with the specification of the varnish to see whether it needs to be carried more or less regularly. Brasswork and Chromework should also be kept polished, not only to keep it looking good but also to stop deterioration. When you are checking over all the pumps and plumbing in a boat make sure that there are no leaks. All the pump seals, hoses, hose clamps, and drains should be clean and dry. Also check that the bilge is clean and free from dirt as this could end up clogging the bilge pump. It is a good idea to have spare parts for your bilge pumps just in case one fails when you are at sea. The pumps should be tested regularly to make sure everything is working properly. You should check impellers and diaphragms carefully. They may need replacing after a few years. If you are replacing or buying an extra pump whether it be a bilge, sump or galley pump then it is well worth having a look at the pumps made by Pump International Limited. Their details can be found on the Pump International Limited page of this site. Once of the most common reasons for Diesel Engine failure is due to problems with the cooling system. Diesel engines work at very high pressures and therefore produce a lot of heat. The cooling system must be maintained to ensure that the engine does not over hear. Below is a suggestion for the inspection procedure which should be carried out on an annual basis. 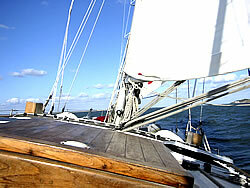 More regular checks should also be carried, every month or before each use if the boat is not used often. Search for any minor problems to stop them progressing into large, expensive problems. This is not an expensive procedure. Take engine temperatures with infrared gun. Inspect the sea water pump. Inspect the cooling system and clean bi-annually. Carry out a simple engine survey, checking the condition of belts, wiring, hoses and gaskets. These are guidelines only and you should always refer to your engine manufacturers manual. 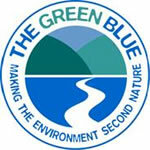 The Green Blue is an exciting environmental awareness initiative by the British Marine Federation and the Royal Yachting Association. Their aim is to promote the sustainable use of coastal and inland waters by boating and watersports participants, and the sustainable operation and development of the recreational boating industry. The Green Blue hopes to educate and inform the recreational boating community, about their environmental impacts, emphasising how you can avoid or minimise these impacts, by taking a few incremental steps. The use of TBT-based antifouling in the past is proven to have caused environmental damage, particularly in freshwater environments, however there is a danger that unwittingly the same legacy is building up with the use of copper-based antifoulings and additives.